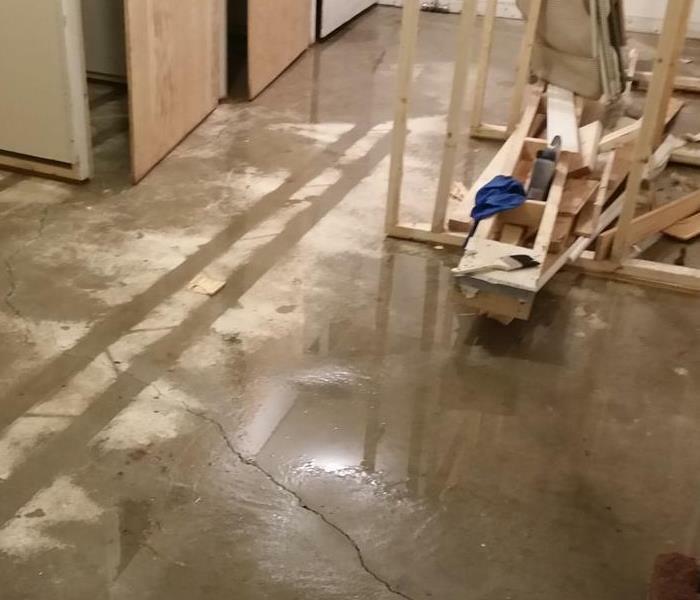 Flooding and water damage events at Fredericton commercial properties are often complex with numerous issues that require a knowledgeable and flexible response. Whether we’re dealing with a relatively small water cleanup scenario or a large scale event, we work quickly to assess each unique situation and isolate the damaged area. In many instances, normal operations can continue in a temporary space while we restore your facility. SERVPRO of Fredericton specializes in the cleanup and restoration of commercial and residential property after a water damage event. Our staff is highly trained in property damage restoration. From initial and ongoing training at SERVPRO’s corporate training facility to regular IICRC-industry certification, rest assured our staff is equipped with the knowledge to restore your property. Getting your life back is your priority. Its ours too. With every flood comes a flood of emotions. What will I do? Who do I call? What is going to happen? Where can you turn when your most precious asset, your home, has been damaged by water? That's where SERVPRO can help. At SERVPRO of Fredericton, we are Faster to Any Size Disaster. We know that you don't just want things clean, you want your life back as well. As a member of a team with 48 years of experience and more than 1,700 locations throughout North America, we have the experience and expertise to return your damaged home to pre-loss condition to help make it "Like it never even happened." Water damage restoration requires a high degree of skill and certification in order to comply with your insurance company's requirements. Your contractor needs to be able to respond 24/7/365 to whatever your need is. Not all contractors are willing to do this. What's more, training and equipment specific to water damage restoration are needed in order to dry your home as quickly as possible so that you can get your life back in order. SERVPRO of Fredericton has highly trained technicians who adhere to industry accepted standards developed by the IICRC, an independent body that works with insurance companies and property managers to develop industry best practices. We use equipment that is specific to water restoration, including commercial dehumidifiers and air movers that have large scale capacity, as compared to hardware-store models. This equipment is supported by highly specialized monitoring equipment and proprietary software. Will the contractor respond immediately? Do they have the skills and training to do the job properly? Do they have the proper experience and certifications? Do they carry the proper insurance? If you can answer YES to all of these questions, then you should feel comfortable knowing that you have selected the right water damage restoration contractor. What happens once I call SERVPRO? Most importantly, SERVPRO will respond immediately. The longer water damage sits, the more secondary damage there could be, and most insurance policies state that homeowners must mitigate further damage by taking action immediately. Therefore, an immediate response is paramount. After the initial walkthrough and inspection, the SERVPRO technician will inform you of what the required steps are. Beyond this, we use our expertise and specialty equipment to complete the drying process, properly disinfect, make any necessary repairs, and return your home to pre-loss conditions ASAP. SERVPRO of Fredericton also completes the reconstruction, where necessary. Your technician will update you regularly as the drying and reconstruction process unfolds. Getting your life back is your priority. It's ours too. 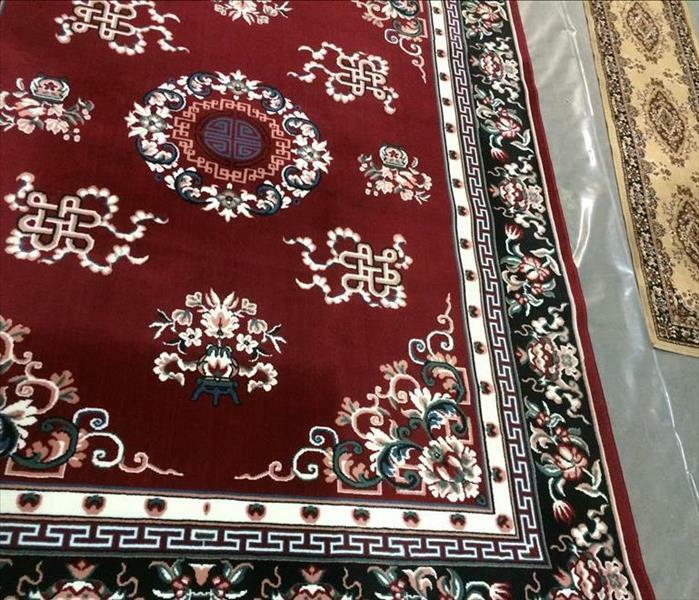 Lorne, our carpet and upholstery technician, has over 32 years experience and has the confidence of many oriental rug owners in the area. Contact SERVPRO of Fredericton for mold remediation services. SERVPRO of Fredericton specializes in mold cleanup and restoration, in fact, it’s a cornerstone of our business. Our crews are highly trained restoration professionals that use specialized equipment and techniques to properly remediate your mold problem quickly and safely. 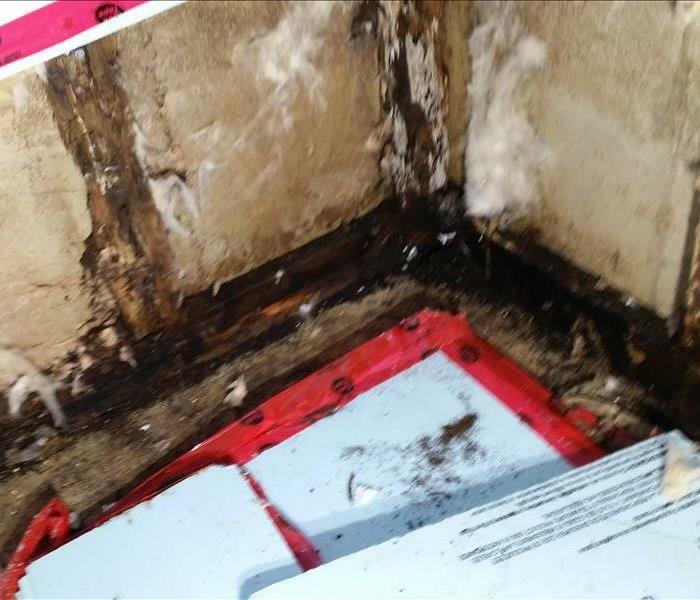 Does Your Fredericton Home Have A Mold Problem? In anticipation of heavy rain associated with thunderstorms that we may encounter this year, make sure you ARE ready. We can all agree that rainwater is better outside than inside. It only takes a handful of debris to clog up your rain gutters and create big problems. Remember, the rainwater needs to go somewhere and if your guters or downspouts are clogged with leaves or pine needles, the water will "overtop" your gutters and may enter your home causeing extensive damage! Call SERVPRO today to avoid any damage to your home, your greatest investment. Our technicians can check these for you and advise if a cleaning is required. Don't let clogged gutters and downspouts cause costly damage to your property. SERVPRO's technicians will clean and remove all debris from your gutters and downspouts to ensure your system is functioning properly. Call SERVPRO today for a free estimate! Rain, heavy at times is expected. The frozen ground has a reduced ability to absorb this rainfall. A low pressure system will bring 25 to 40 mm of rain tonight into Tuesday morning. The rain will change to or become mixed with snow on Tuesday as temperatures fall. Localized flooding in low-lying areas is possible. Heavy downpours can cause flash floods and water pooling on roads. Rainfall warnings are issued when significant rainfall is expected. Flooded Basement? Call SERVPRO and avoid any further damage! 6/29/2016 - Does Your Fredericton Home Have A Mold Problem? 5/24/2016 - Are you ready for whatever happens?